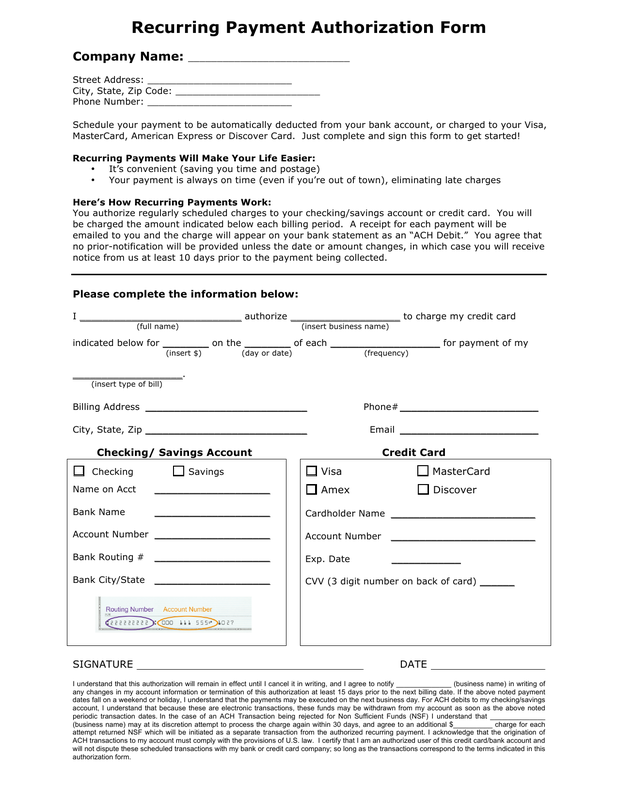 Download the recurring payment credit card authorization form (for credit cards or bank accounts) in Adobe PDF, rich text format (.rtf), and Microsoft Word (.doc) to allow an individual or a company to charge a credit card or bank account on a timely basis. The most common frequency is once per month, but can be authorized by day or week. After the form has been filled-in it must be held by the person or entity charging the payment. Part 1 – Enter the company name including its street address and phone number. 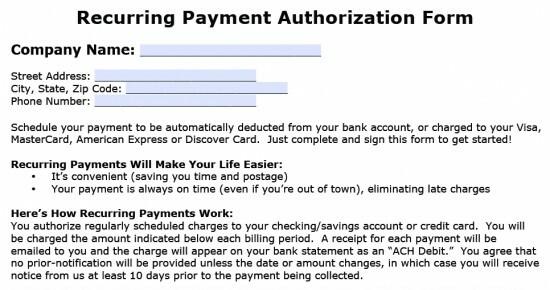 Part 2 – Enter the recurring payment information including the payee, business name authorized, amount authorized, date of payment, frequency, type of bill, billing address, phone number, and email. 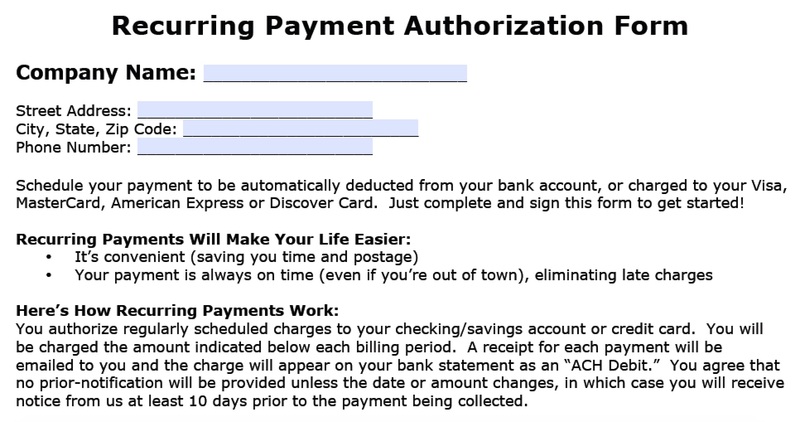 Part 3 – Enter the checking account/savings account or credit card information. Part 4 – Signature, Date, the Business Name, and the NSF fee.